Navigation training course Level 1 suitable for walkers who wish to learn map reading skills and navigate with confidence. For all groups the first session will be starting from the Lickey Hills Visitor’s Centre. Derek Jones, email: derek.jones@blueyonder.co.uk or telephone: 0121 744 7881. 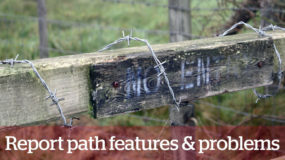 MAP READING & NAVIGATION COURSES for WALKERS. From the responses received two level 1 courses have been arranged on the following dates. If you wish to join either of these then send me an email and you will have a place reserved for you and receive further details. SATURDAY CLASSES (10 until 4pm x 2 sessions): these will be on 13th OCTOBER & 17th NOVEMBER. There are now have over 20 people on the list so it is time to settle on some dates and structure. For level 1 there will be 3 x 4 hour outdoor sessions with an extra session for those that wish to obtain the NNAS Bronze certificate (for details see the NNAS website). The cost will be £30 (or £40 for an extra week and possible NNAS certification); there is no need to express preference before the start and I will be able to advise you as the course progresses). The days that are unsuitable. The dates that you are unavailable on those days. or state that you are now longer interested at this stage. or that you are interested in a different level/ assessment only. The sessions will start at 10am and finish by 2pm. I also do weekend sessions for those who cannot make weekdays. These are 2 x 6 hour sessions on a Saturday or Sunday. Looking forward to your replies. Do not hesitate to ask if you have any queries and please include others that may be interested. 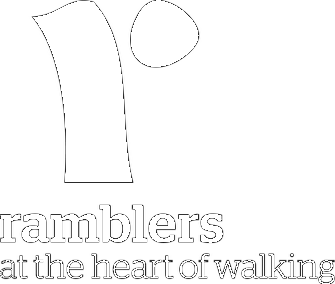 These courses have been a feature for a good few years, and many have benefited from them, run either in partnership with Solihull College or with the support of our Ramblers group. Courses focus on appropriate levels of the National Navigation Award Scheme (NNAS) accreditation: Bronze & Silver. Programmes are mainly practical, and course charges cover registration, certificates, badges, assessment, maps, facilitation etc. The 3 weekly sessions will run from 10am until 2pm and the cost in total will be £30. 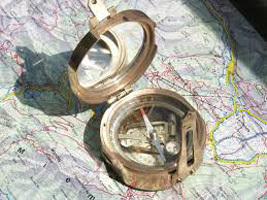 Typical Level 1 course for beginners and improvers; suitable for any walkers who wish to increase their map reading skills so as to be able to navigate with confidence – includes map reading, compass skills, basic navigation techniques; leading to (optionally) Bronze level in National Navigation Award Scheme (NNAS). For those who decide to be formally assessed for the Bronze National Navigation Award (NNAS) there will be an extra session arranged and cost for this session including registration and the certificate will be £10 in total. Names are also being collected for Level 2 course which is suitable for those who already have first level skills. How it works is when there are about 20 names on the list, an email is sent to everyone asking what days and dates they cannot attend. The courses (3 x 4 hour sessions) are then arranged to suit the responses and are at levels one or two. Wrap up more than for a ‘normal walk’. If you have one bring an EXP 220 map*. Note pad and pencil as we will begin our session in the classroom. Carry your usual provisions and wear your normal gear for a ‘day’s walk’. We will meet at the Visitor’s Centre, Warren Lane, B45 8ER (Grid Reference SO 998 754). Food, drink and facilities are available. The start of the course will be theory using the ‘classroom’ facility at the centre then we will be putting the theory into action.